As human beings we have a fundamental choice to make in each and every moment of our lives. To achieve greater success in life requires us to make that choice. We can continue living on automatic, acting and reacting as we habitually do; or, we can choose in the present moment to pursue a new way. The intentional act of noticing your automatic, habitual patterns lifts you above them. It lifts you above all of your problems. The moment you pursue a new way of thinking, feeling, speaking and acting in the now you set into motion a new trail of consequences. In a sense, the future that you desire is just one choice away. Choose the future you want by knowing the future you want and committing to it, right now. To produce a new and freer life, you must live more freely in the now - more free from habit-ruled living. Each moment that you deliberately and consciously choose to live in a way that leads to the future you want, you lead your life into that future. Each moment that you automatically repeat your habitual patterns of thought, feeling, speech and action, you lead your future toward where you already are, back into the same old set of circumstances that you have been trying to improve. Notice your breathing in the now. Notice your posture. Notice how you tilt your head when thinking. Notice how repetitive is your thinking, your emotional reactions, the way you use words when speaking or writing. Notice how you do everything! As you awaken to your habitual, automatic modes you withdraw their power over you and over your destiny. The ancient Greeks had a concept called, �Kairos�. It means, �right timing�. The �right time� for a new you is now. Each moment offers you an opportunity to conduct yourself in such a way that you progress in the direction you want to go. We miss the opportunity for Kairos, for right timed action, when our habitual, automatic ways of acting and reacting rule our thoughts, feelings, speech and actions. 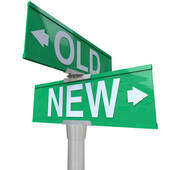 By looking in the now for a new and better way to proceed, we are already proceeding in a new and better way. We are fulfilling the promise of Kairos. New results require sacrifice � the sacrifice of our old ways. At a fundamental level, we need to sacrifice the lethargy that permits pre-programmed past patterns to be in charge. Every intentional act of newness � every intentional change you make in the present � sets into motion a change in your life's direction. Instead of acting and reacting on automatic, pause to pay attention to the now. Consider what you are intending to bring about, and why. 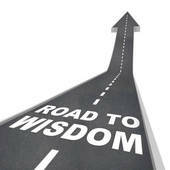 Consider what your best option is in the present moment for advancing as far as possible in the direction of your goal. Because this act of conscious pausing has not been your habitual pattern, engaging in it constitutes a new way, produces a new you, leads to a whole new life. Pausing to pay attention involves holding your habitual mode in abeyance. This creates inner �space� for a higher level of wisdom to guide you. Even if you don't know what to do in the �space� your conscious pause creates, you have already brought higher wisdom into your life by giving yourself that pause. Greater success must then be yours. Provide your workforce with training in more conscious awareness in the now. Wake up your workforce for new and better results. Call 404-297-4043 or email for superior team building and leadership development motivational seminars and inspirational keynotes.